Are you looking for some of the best ICO agencies that help you launch an ICO? Having been involved in crypto space for almost 1,5 years, we have come to partner with a number of various ICO providers. 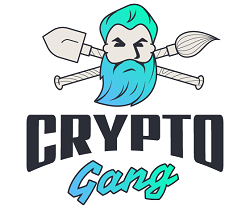 At Crypto Gang our focus is providing exceptional branding service, among which are logo and brand corporate identity creation, design and development of ICO websites, design of whitepapers, pitch decks, one-pagers, and other visual assets. Branding and design of the ICO website and documents. Content writing for whitepaper, website, pitch deck, etc. Technical environment?—?smart contracts, tokens issuance, investor cabinets, etc. PR and marketing services?—?ads, PR articles, SMM, community management, etc. Working closely with different ICO service providers, we got a really good understanding of some of the best performing players in the market, who can deliver top notch ICO services for you and ensure a successful fund-raise. I believe that this information may be valuable to blockchain startups, who are looking to launch their ICOs and so I wanted to share the list of such agencies here. Global list of best ICO service providers?—?Marketing, PR, Token Sale, Legal, Branding, ICO website, Blockchain. Blockchain Valley Ventures (BVV) is a Swiss venture firm incubating, developing and investing into blockchain-enabled businesses. Our expertise lies in blockchain technology, Initial Token Offerings (ITOs/ICOs) advisory and early stage venture investments. Blockchain Valley Ventures has a deep know-how and insight into the blockchain ecosystem as well as significant ITO/ICO experience. Crypto Gang is a crypto-focused branding agency helping ICOs and blockchain startups to succeed via creating meaningful designs. Some of our services include logo and corporate brand identity creation, ICO or project websites, design of whitepapers, pitch decks, one-pagers and other visual materials. In a crowded ICO space of lookalike projects your startup has to stand out to be successful. Having a great idea alone is not enough anymore. Your branding effort becomes very important. It’s not about your logo or color or landing page layout, it’s about emotions that people have when hearing about your project. Being a part of a digital agency, we’ve created a number of brands for our clients over the last few years. We have worked with offline and online projects, startups and mature businesses, and now we’re ready to help you! Chaineum is the leading European self-regulated ICO advisory firm based in Paris and Zug, Switzerland. They provide end-to-end services to companies and startups that are looking into conducting an ICO/ITO. 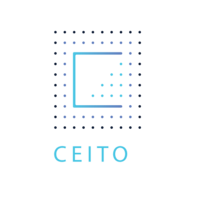 Ceito is an integrated workflow platform that guides project owners through the complicated and tedious fundraising process to ensure that their ICO is executed in a safe and compliant manner. Ceito is also a one-stop platform where backers can conveniently find projects they believe in to invest. Bitcoin Suisse specializes in alternative finances / non-banking assets, outside of the traditional financial system & banking establishment, so called “decentralized finance”? or “digital finance”?. Our focus is Bitcoin, but we can also service & advice in the field of physical precious metals and other Crypto-curriencies. We provide financial services, such as acting as intermediary in financial transactions. We also provide consulting & solutions based on decentralized technology. We drive a project to establish Bitcoin ATMs (BTMs) in all the large Swiss population centers. And we issue physical Bitcoin Certificates. Bitcoin Suisse AG is your Swiss partner in regards to Bitcoin, crypto-currencies & decentralized finance! 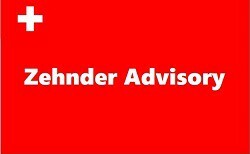 Zehnder Advisory provides marketing and communications advising for start-ups and scale-ups, ICOs and ITOs with a focus on crypto and token economy. Some of the services include marketing, advisory, content writing and community management. 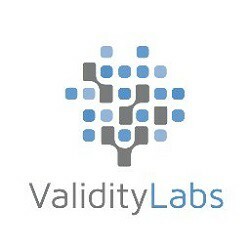 Validity Labs is a Swiss based education and training business in a leading edge technology called smart contracts, built on blockchain technology. We aim to be the provider of choice for educational events in Switzerland and surrounding countries. Validity Labs is the first commercial smart contract training business in Europe that has a partnership with leading edge academic partners. 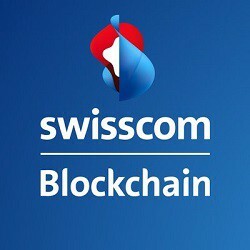 Blockchian Swisscom is a spin-off of Swisscom telecommunications operatior. Find promising opportunities and learn how to develop and deploy the best solutions. Our experts make sure your solution is seamlessly integrated into your system. Swisscom is the largest IT infrastructure host in Switzerland. From development solutions to high-security blockchain factories, we can offer the best environment for your specific needs. We build and run secure decentralized services including exchanges and smart contracts for launching successful initial coin offerings (ICO). 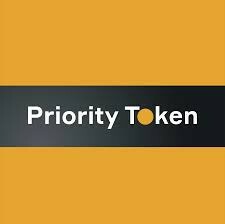 Priority Token is your highway to successful ICO. If you need a professional support and advising on your project ICO, we are right here for you. With a solid experience and strong team of professionals, we offer you: Investment Consulting, Marketing Support, Technical Support. Element Group is a full-service advisory firm for the digital asset capital markets that delivers advisory, investment management, OTC Trading, and technology services in an integrative manner. Tokeny provides an end-to-end platform to issue and manage utility and security tokens. Tokeny also offers a certification methodology The Sustainable ICO Protocol (SICOP) to determine if an ICO is compliant to the standards of an ethical, fair, and transparent market. It is based on best practices taken from the IPO industry as well consumer rights. It provides a self-regulating framework to the ICO industry. Tokeny’s vision is to connect empowered Investors with Blockchain projects shaping the future of human organizations. Blockchain Partner is the French leader in consulting around blockchain technologies. Our expertises rely on three cores?—?strategic, technical and legal?—?thus enabling to identify blockchain use cases adapted to each organization, develop technical solutions, assess the legal compliance of blockchain projects, and help teams in their Initial Coin Offering (ICO). Crowdcreate is the #1 community management and growth agency according to Forbes based in Los Angeles, California. We’ve helped many of the top 100 crypto projects grow an organic community of investors and members raising over $100 million across 50+ projects. Crowdcreate operates one of the largest network of crypto YouTube, Twitter influencers, developers, and passionate crypto enthusiasts in all major languages, time zones, and countries. We understand the algorithm for virality and can help you trend to the top of the ICO charts. The numbers don’t lie. 81% of investors turn to social signals such as influencers, buzz and community management to make decisions. 74% of average investors trust social media influencers to inform them on good projects. With Crowdcreate, you’ll be able to unlock new audiences and build credibility for your ICO. 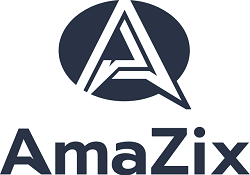 Amazix is a group of professional crypto ICO consultants who have technical expertise, are excellent at support and led by an elite team of managers. Providing a turnkey service to crypto projects based on Bancor or on the Ethereum Network. Each investor considering participating in an ICO will conduct his or her due diligence, typically by reading your whitepaper and blog posts, researching online and asking questions in their social media channels of choice. Providing this support to thousands of potential investors is time consuming, but if they feel their questions are not getting satisfactory answers, or that there is not much coverage of your project, they could pass on the opportunity. Having a strong community, strong partnerships and effective marketing strategy throughout the ICO process is crucial to a successful crowdfund. Affect is not your run-of-the-mill public relations, social media and marketing firm. Specializing in technology, healthcare and professional services, we combine smart people, cutting-edge thinking, creative ideas and hard work to provide exceptional service and produce tangible results for our clients. We know that every company has different business goals. Our services are tailored to meet communications needs of all shapes, sizes and budgets. We can help you launch a campaign, finesse your existing plans or light a creative spark that ignites your entire business strategy. From program development to program execution, we focus on tactics designed to make our clients successful?—?then we measure the results, raise the bar, and measure again. Let’s create together an impacting and powerful marketing plan which will ease the success of your ICO. To make your ICO a success, a great idea alone is not enough. You will have to target the right audience, choose the appropriate canals, and spread an impacting message. Thanks to its dedicated marketing advisors, Ticoon will provide you premium services to make your project succeed. 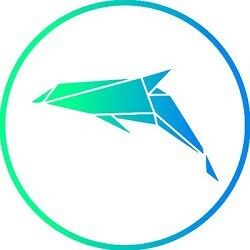 Narwal is a full-service public relations agency located in the heart of Switzerland’s Crypto Valley with a focus on blockchain and fintech projects. 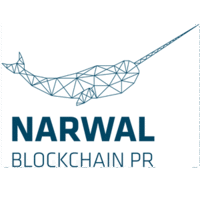 As a young joint venture between Crypto Valley pioneer Lakeside Partners and furrerhugi, a leading communications agency, Narwal combines the spirit of an early adopter with more than 15 years of experience in communications and entrepreneurship. 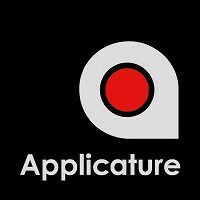 Applicature works on projects in the blockchain industry involving the development of smart contacts, research, and the deployment and customization of blockchain solutions; as a technical advisory to blockchain companies; and as a technical consultancy on token sales / initial coin offerings. We are no-borders agency, and help clients all around the world and around the clock. Searched is a digital growth agency constructed by entrepreneurs who love to build and create. We’re not big agency tearaways going it alone, we simply use our knowledge, expertise and love of seeing businesses grow, to help a select group of clients become successful online. We specialise in the niche market of Blockchain startups, working with ICO’s, pre and post raise, to ensure successful growth in both the short and long term. 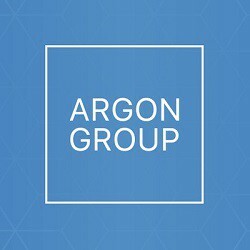 The Argon Group is an investment bank with a focus on digital finance?—?the emerging crypto-currency and token-based capital markets. We provide financial advisory, placement, and technology services to companies seeking to raise equity, debt, and non-dilutive capital. 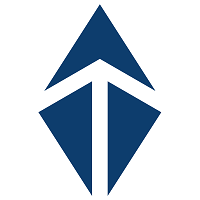 The Group develops technical placement solutions including digital tokens powered by advanced smart contracts, which we operate though a digital asset placement and brokerage platform called TokenHub.com. We are developing NYCEX.com, a digital asset and crypto-currency exchange, which will be on the cutting edge of technology and compliance. 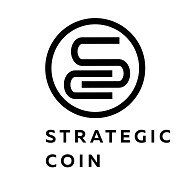 Strategic Coin is a leading research and advisory firm for companies planning to integrate blockchain capabilities into their business model via utility token launches. Our customer research reports provide qualitative and quantitative analysis of token use cases and platform value. With the Strategic Coin Advantage network of partners, we offer customized services for the pre-launch, full-launch, and post-launch phases of Token Generation Events (TGEs). Ambisafe’s founding team has been pioneering cryptocurrency development since 2010. Our experience ranges from development of alternative consensus algorithms in 2010 to launching the first multi-currency wallet in 2014. Nowadays we specialize in issuance of Ethereum-based financial instruments, blockchain solutions and ICO related services. TokenMarket provides a platform for organizing blockchain token or virtual currency sales. Our seasoned professionals combine market experience, resources and data assets to create a winning solution to execute your ICO safely and securely. We leverage our know-how and technology to walk you end-to-end through token creation, presale, public sale and secondary markets. 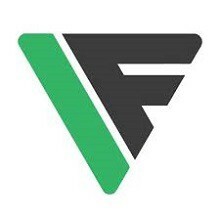 ForkLog Consulting provides advisory and marketing services to businesses and individuals in digital currency and distributed tech industry since 2015. We keep in touch with regulators and industry stakeholders in the Eastern Europe and beyond, perform exclusive research, and stick to the comprehensive approach towards gathering and analyzing data from all around the industry to make our services relevant to the current state of the market. ROQ Media is investor backed and founded in early 2017, our vision is to turn dreams and ideas into reality by offering a one stop solution for successful Initial Coin Offerings (ICOs) and other Blockchain based needs. This includes marketing, advertising, PR, Smart Contracts, Legal & Compliance and all things in-between. We drive business performance using best in class technology and acting as an exclusive partner for leading providers in the Blockchain space. We are Papers.ch, a young software company located in Ennetbaden. We can draw on our knowledge and experience to provide you with a tailored and perfectly optimized end-product. We develop mobile and web apps as well as Blockchain solutions with a special emphasis on usability and mobile security. Our team is full of crypto-enthusiasts, thus our goal to bring crypto to the masses. 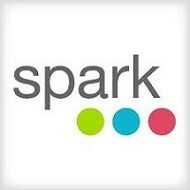 From startups to Fortune 1,000 members, Spark specializes in helping technology-focused and innovation-minded companies transform their brands by bringing powerful narratives to life through public relations and integrated marketing programs. The agency’s full suite of services includes content and social development, programmatic distribution and other forms of paid media, and data-driven insights to inform strategic planning and measure go to market plans. Spark also provides comprehensive strategic communications & marketing services for blockchain and cryptocurrency leaders through its Sparkchain division. From guiding successful token sales to growing companies post-ICO, Spark has emerged as the preferred partner for these highly specialized services across the globe. Cryptonomos makes it safe and easy to buy a variety of tokens on one platform. Improve your token sales by offering to our vast user base of active token buyers: Contact us & talk to our ICO expert; Get your ICO listed, Reach thousands of active token buyers & receive funds. (Early backer engagement?—?Marketing and PR campaigns?—?Community channel management?—?Escrow). Block Gemini is a collective of Blockchain developers and enthusiast who collaborate on this technological shift that we like to call?—?The Blockchain Revolution. Our objective is to help global corporations to create decentralized economies where they can interact with their clients in unimaginable ways. We have been in the IT field for over 25 years and have never been so passionate about any other software till date. We strive to change the world; Blockchain will be referred to as the most significant development since the conception of the Internet. Token Agency is the premier, full service marketing and strategy agency for the blockchain startup space. Our crew of explorers were some of the first to set out into this new, uncharted territory. We provide a center from which to build your galaxy outwards. Lakeside Partners is a group of experienced entrepreneurs who provide funding for early stage companies. Our unique investment approach enables the founders to act faster, stay focused and enlarge their potential. By cultivating an exclusive network of experts and investors we are able to support the companies as an extended team. Bloqchain Science builds secure decentralized systems within your enterprise using blockchain-based ledgers, identity solutions, custom tokens, and smart contracts. Cryptocurrency technology helps create decentralized apps that work on a distributed database, allowing your business to be highly mobile and secure. 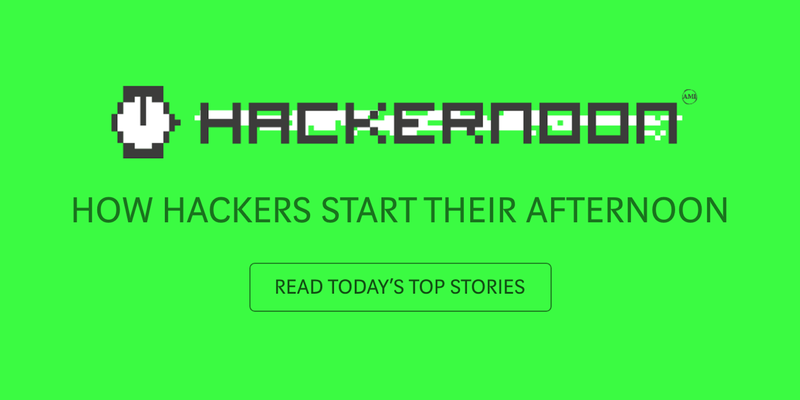 AuditScience services by Bloqchain Science: 10% of ICO Money have been hacked or Stollen. Investment funds only consider token offerings if the smart contracts have been audited. 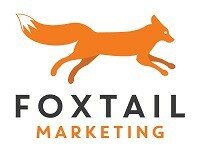 Foxtail Marketing is a digital marketing firm that provides content marketing, digital marketing, and lead generation services for mid-market companies. The content we create focuses on engagement and lead generation. Our sole goal for our clients is to enhance their brand, drive traffic, and increase revenues. We handle everything from content creation to the distribution of the content and then the nurturing of the leads generated by the content. Our tactics create reliable and replicable lead generation and conversion tactics for business-to-business focused companies. Our work is shared more socially, valued more by Google, and produces better results than anything else in the industry. Canada Blockchain Group is a Canadian full-service Blockchain Technology Company that is committed to facilitating innovation and fostering the ethical growth of the industry. We guide you step by step through the ICO maze. Even if you just have an idea, its ok, we have the map! Feel comfortable knowing you are going through the process with an elite group of professionals. CoinFabric is a full-service launchpad for ITOs (Initial Token Offerings) & ICOs (Initial Coin Offerings), advising on overall strategy and implementing it through a variety of services from content marketing, paid advertising and community building, to investor & influencer outreach and more. With a team of industry experts, in their respective fields, CoinFabric has all of the parts to successfully help companies to achieve successful Presale, PreICO & Public Crowdsale events. Crynet?—?is a data-drvien advertising marketing company with enormous experience in providing ICO Marketing with the best ads with background in Digital, Data Analytics and ICOs. The full spectre of advertising formats (Native, Video, Display, Mobile, Social Media, Programmatic) allow us to generate marketing strategies with high investments return and big contributions. M&K PR is one of the best PR agencies providing Strategic Communications Consulting, Media Relations, Digital PR, Marketing and Marketing Communications Service, in Korea. Pro-Crypto Group is a passionate Seoul, South Korea(Top 2 ICO marketplace) based growth marketing agency providing ICO Marketing, design and video production, release publications, and PR outreach, SNS Marketing, Community Management Marketing and influencer marketing. Focusing on a data-driven approach for every blockchain, branding, and crowdfunding campaign, we have successfully funded 29+ crowdfunding campaigns raising over $67 million averagely in 2 years. 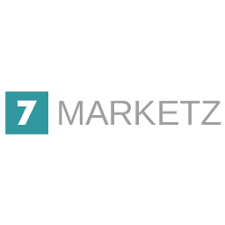 7MARKETZ is a global FinTech marketing agency, delivering creative business solutions for startups and enterprises throughout Europe and North America since 2010. Meet 7MARKETZ where the most passionate and skillful professionals join their forces to create uplifting marketing experience! 7MARKETZ Team combines various marketing approaches to lead your ICO to strategic objectives and tackle complex development challenges. We infuse your ICO with our expertise, fresh vision and a full spectrum of analytical tools. At MLG Blockchain we develop next generation blockchain applications using blockchains and smart contract technology. We can speed up your teams understanding of the potential blockchain applications in your industry and execute your roadmap to develop them. Founded in Zurich in 1966, Froriep is one of the leading law firms in Switzerland, with offices in Zurich, Geneva and Zug, as well as offices abroad in both London and Madrid, serving clients seeking Swiss law and tax advice. MME is an innovative business law and tax firm with offices in the two Swiss economic centers Zurich and Zug. We advise and represent companies, their key people as well as private clients in commercial as well as private business matters. Legal | Tax | Compliance: In these three areas we offer comprehensive, interdisciplinary solutions with speed and efficiency. Our specialists tailor their advice to your needs in order to provide practical, cost-effective solutions that sustainably improve your business?—?whether in a national or an international environment. Launched in 2005, Fichte & Co has become one of the UAE’s leading law firms, with offices in both Dubai and Abu Dhabi. Driven by passion, professionalism, and a team of over 30 dedicated local and international lawyers and counsel, Fichte & Co is a force to be reckoned with and the ‘go-to’ firm for legal advice and business support. Morrison & Foerster is a global firm of exceptional credentials. Our name is synonymous with a commitment to client service that informs everything that we do. We are recognized throughout the world as a leader in providing innovative legal advice on matters that are redefining practices and industries. MoFo lawyers have one compelling mission: to deliver success for our clients. Clients are clients of the firm, not of individual lawyers. 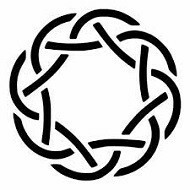 We work together to find creative, business-savvy solutions to complex and routine legal matters. INTREPID Ventures is a Blockchain startup studio that designs and builds new companies. A globally distributed team of designers, engineers, and social scientists. We’re not a traditional company, and we don’t intend on becoming one. We partner with Founders and challengers and help them build blockchain ecosystems for scale, market leadership, and sustainability. Belkin Marketing is a global digital marketing agency. We provide services that include market, search and media strategy, SMM and experience marketing. Most noteworthy, content marketing and lead generation. Founded in 2007 in San Diego, California, Belkin Marketing Team currently works out of three offices: San Diego, Moscow and Hong Kong. A unique team of digital creators, we go through an extensive hiring process to eliminate all but the best. In addition, Agency is currently partnered with several global marketing and retail professional brands?—?including JosDeVries (Holland), DOING (Italy), Think Kong (Poland). CoinMarketLaunch.com is a cryptocurrency company offering blockchain advisory and ICO services. 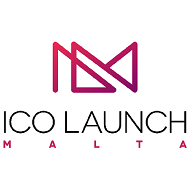 ICO Launch Malta is a full stack ICO platform that services every aspect of a company’s ICO process from incorporation and tax planning, to token creation, smart contract development and deployment, marketing and PR through to exchange listing. Contact us today to find out how we can deploy a successful ICO for your company. ZONTO is a digital ecosystem which has many functional modules in its basis (social network, chats, wallet, job search etc.). And an essential part of ZONTO system is the platform for crowdfunding. 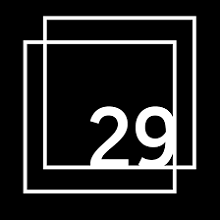 CUBE29 is a full-service ICO PR and marketing agency focused on helping tech companies and startups launch and successfully promote their ICO. Founded by marketing and PR professionals who also happen to be blockchain enthusiasts, CUBE29 mission is to provide companies, which decided to raise funds through ICO, with professional communications support. Cryptoland PR is the first dedicated blockchain PR & communications agency…. We’re connecting innovators, leading players and game changers to journalists, analysts, bloggers & thought leaders. Icofunding is a platform designed to create Initial Coin Offerings (ICO) simply and safely. In addition, it provides the proper tools for investors in order to control that their investment is being used in accordance with the goals set by the company. SICOS aims to be the one-stop solution for the crowdfunding activities in Europe. We provide strategic advisory at various stages through the initial coin offering (ICO) process. We assist in structuring the ICO vehicle, through our highly competent, global and legal partners; in analyzing token economics; complying with transparency and best practice requirements; connecting with other strategic partners; and many other activities. SICOS believes in a high-level of best practices for the ICO projects and requires their advised projects to comply with the same. 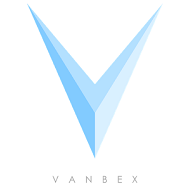 The Vanbex Group specializes in consulting, communications and development for blockchain businesses. We take a tailored approach to shaping the future for every client we manage. We combine deep business insight with a strong understanding of how blockchain technology can impact existing business infrastructure and operations. Developing blockchain and cryptocurrency businesses since 2013, we’ve become hyper-specialized in building out the elements of a successful client strategy: a compelling product use case, clear demonstration of the technology, and a robust and engaged community. We are young, and hungry to use media in all its changing shapes and forms to tell your important story. 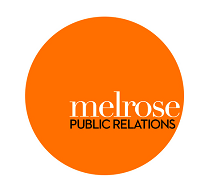 Melrose PR’s identity is built on the pioneering principles of our clients, who are never afraid to tear apart the script and dive into the unknown. This is the same attitude we throw into our everyday as we work to transform your brand in ways you had always dreamed of, and others you had never even thought of. TokenSuite is an all-encompassing global digital marketing agency primarily focused on blockchain-based startups and projects. TokenSuite’s team offers a comprehensive blockchain marketing solution, allowing you to focus on core business. We manage your marketing campaigns from bottom to top. C6 Advisors is a premier provider of full-scale SaaS ICO solutions, in combination with creating financial opportunity through our proprietary Investor Matchmaking service. 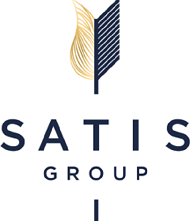 Satis Group prides itself as being the premier ICO advisory firm within a rapidly changing new asset class. Our industry leading team of ICO and digital asset advisors has well over $100M+ in ICO experience. As a firm, we are dedicated to providing the best advice to founding teams, corporates, and funds on how to optimize ICO execution while navigating the increasingly complex legal and tax hurdles involved. Our longstanding presence within the cryptocurrency community and arguably one of the best social media marketing, deal structuring, and management efforts in the business affords our clients best-in-class, end-to-end service. ICO Booster is to support the best emerging ICOs at certain and sustainable costs by giving them the tools and visibility necessary to generate real and last value for investors and underwriters. We cover all the necessary services to bring you from a business concept idea to a concrete successful Initial Coin Offering. With and thanks to our business partners, we customize and manage the entire process to let your ICO successful, safe, and compliant accordingly. We promote cryptocurrency with cost-effective digital marketing services for blockchain companies that are running in pre and post ICO. The result of those services is regarded more to community engagement, subscribers, downloads and investors. One of a kind marketing agency. MarketMeGood is here to challenge the way things are done. We believe that good ideas deserve great exposure. MarketMeGood are experienced ICO marketing agency that puts their clients first, leading with exceptional ideas and closely collaborating to understand and find the best marketing solutions for your ICO. They are are experts in marketing and know how to gain attention from leading Industry Blockchain News. 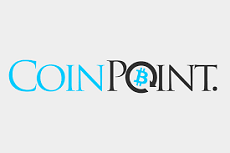 They are working together with social influencers and have built a massive mailing list that gives them easy reach to the crypto community and potential investors. If you have any questions leave us a message, we will reach out to you in a heartbeat. Byzantium is an immersive end-to-end blockchain service provider and consulting agency. $152,083,636 attracted during the past year. Every word we use to identify ourselves reflects our core values. Performance-oriented means we value actions, not titles. We show what we do best and expect the client to do best as well. Immersive means we do the work with our own hands. Our professionals with firsthand expertise seamlessly merge with various teams. End-to-end means we develop solutions at every stage. We help perform frenzied investment rounds, launch new products, and establish connections. With this approach, we’ve raised $150 million in 2017. To name a few, we have Bankex- a platform with multifunctional smart contracts building Proof-of-Asset Protocol of Liquidity and NAGA Coin?—?a trading and investing tool in financial markets, virtual goods and cryptocurrencies, raising about $70,600,000 and $50,020,960 respectively. Chainstarter is a full-service, ethical blockchain funding platform that delivers all aspects of the token sale process to help entrepreneurs like you to do something amazing. If you’re considering a token sale we offer the most comprehensive range of services to support ICOs. With Cryptomizers’ Euro-economy experiences and education in finance and marketing respectively management and organization we are the ones to bridge the gap towards the crypto-economy. Your company can hire us for consulting / advise on adapting blockchain technology to your day-to-day business. We serve Crypto startups with steps towards successful Initial Coin Offering (ICO)?—?from “how to start?”? till “successful investment proposition”? and from “how to set up a good team”? 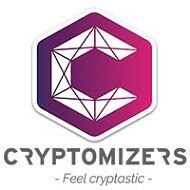 till “Cryptomizers joining your Senior Advisory Team”?. 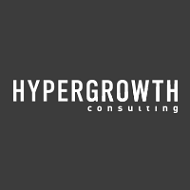 Hypergrowth is the growth hacking agency accelerating startups and enterprises across Europe. We use metric driven marketing to put your business in front of the right people. We drive your success. Growth is a process and we can help you make sense of it. From the freshest ideas on the frontlines of emerging technologies like AI, Blockchain and the Internet of Things, to the companies shaking up traditional industries, we want to hack your growth. Our battle-hardened analysts, marketers and entrepreneurs deliver data driven, content-powered and ROI-focused campaigns, and we don’t like to mess around. The list is assembled by Anton Dyshkant of Crypto Gang, a crypto-focused branding agency (https://cryptogang.agency/). Our clients include blockchain and crypto startups, as well as crypto venture funds from Switzerland, France, Singapore, USA, Australia and others. Images courtesy of Shutterstock. All logos courtesy of their respective companies.